We loved Brasov – it’s a great city in Romania with a charming old town but also the feel of a slightly larger city. Being located in the Carpathian mountains, there’s plenty of Brasov things to do to keep you busy – whether you’re into exploring nature or wandering through history. 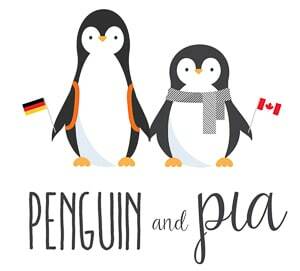 If you’re new to Penguin and Pia, we lived in Romania for a month at the beginning of 2018 and got a chance to explore the country. The Brasov winter was a great time to see the city and we can’t wait to explore it in the summertime with the nicer, warmer weather! 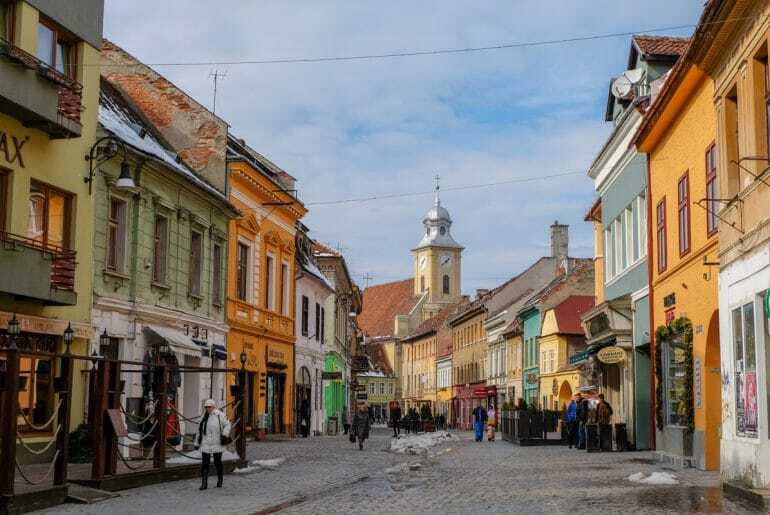 Brasov is a great location to stay in for a longer stay because you’re so close to places like Sibiu, Sighisoara, Cluj Napoca, and other smaller Romanian towns and attractions like Bran Castle. Brasov is only about 2-3 hours by train from Bucharest so it’s easy to get there and spend a few weeks. That said, you probably looking for a Brasov hotel that fit your budget, style, and location. We’re here to help! It should be noted that you won’t find a hotel close to the Brasov, Romania airport. This is because there isn’t an airport in Brasov! The closest ones would be in Sibiu (where we flew into) and in Bucharest (where we flew out of)! In any case, there are hotels in the old town and closer to the train station that are sure to please you. We’ll tell you where they are with a handy map of the area. Ready to get booking your stay in Brasov? Let’s get down to finding you a place to stay in Brasov! Need stuff to do in Brasov? Here are 17 Awesome Things to Do in Brasov. Includes traditional food place we tried! Here’s our guide to checking out Sighisoara, Romania. Here are More Day Trips You Can Take From Brasov! Wondering what we thought of Romania? Read Our Thoughts After Living in Romania. The Capital is Pretty Cool – Explore Bucharest with a few Things to Do! Find a Great Place to Stay in Bucharest with our Guide on Hotels and Hostels. For a hotel in city centre Brasov Main Square – check the prices at Residence Piața Sfatului. To stay at the base of the beautiful Tampa Mountain – check the prices for Hotel Kolping. For an authentic guesthouse that’s not in the centre – check the prices for Casa Tepes. For a historic, elegant stay in the Old Town – check the prices for Drachenhaus Hotel. For authentic and fancy (but still not crazy expensive) – check out the prices for Aro Palace. There are a lot of options for cheap accommodations in Brasov. However, they do get booked up quickly – so be sure to book in advance! We’ve found you a few places that are either right on the Main Square (Piata Sfatului) or within walking distance of the Old Town. You don’t have to sacrifice distance for a good price in Brasov. Located in the centre of Brasov, Long Street Hotel is only a short walk to the Old Town. Even though it looks far on the map – guests don’t complain about the distance and we lived WAY farther from the Old Town than that and still walked in regularly! Long Street is surrounded by many bars, restaurants, and shops. The hotel has a terrace and massage services are provided to guests along with car rentals. That said, Poiana Ski Resort and the famous Bran Castle are only a short 30-minute drive away, respectively. Don’t forget that Long Street offers free onsite parking! As for rooms, there are rooms, suites, and apartment-style rooms. All the spaces have modern furniture and lots of space. Each room has a tv, minibar, and ensuite bathrooms. The breakfast offers a large selection to cater to the needs of guests – from American style to Kosher. Breakfast can be rolled into the booking price if you choose that type of room rate – but it’s cheap to buy it extra if you want. Guests regularly mention that the beds are comfortable, the coffee is good, the wifi is strong, and the staff are very friendly and helpful. The best part? Because of the location, Long Street Hotel offers guests views of Tampa Mountain overlooking the Old Town and the “Brasov” sign. Beautiful for photos! If you’re heading to Brasov and you are absolutely set on staying right on the Main Square (Piata Sfatului) then you should definitely book a room at Residence Piata Sfatului. You will walk out the front door and be right in all the action. Breakfast is continental and included in most of the room fares. Rooms offered are suite style or regular rooms with double or twin beds and private bathrooms. For the price and the location, some of them are an absolute steal. Honestly. Rooms include modern furniture and a small fridge. Guests rave about the location (see the map above and you’ll see why) and the staff speak many different languages! There is an onsite restaurant but you’re also located very close (like next door) to a great Romanian restaurant we tried while we stayed there. You have to try Le Ceaun and you can read more about it in our post on things to do in Brasov. Located a little outside of the Old Town, Casa Tepes looked super medieval and cool from the outside. We know because we walked by a bunch of times heading to and from our Airbnb and noticed it! It’ll be a short walk to the Old Town but there’s also a great connection via bus to the train station from very close by. Casa Tepes is described as modern but authentic with wooden furniture throughout. You’ll feel like you’re staying in a more historical guesthouse setting than in a modern hotel room. Guests choose from a variety of rooms from double or twin beds, balconies, coffee/tea in the rooms, fridges, minibars, and a private bathroom. Casa Tepes has a free hot tub for anyone to use, a furnished main balcony, and a breakfast room with a fireplace. Speaking of breakfast, the breakfast is really well-rated and included in all room prices! There are actually quite a few hostels dotted around the city – and we wanted to give you one option to compare the prices of the cheaper hotels to what a private Hostel room in a good location might cost you. One of the best hostels in Brasov is JugendStube. If you wanted to be located right in the heart of the Old Town then well, you’d be happy with the location! If you did want to stay budget-friendly then JugendStube has a fully stocked kitchen for guests to use. The common room is bright with lots of seating if you just want to relax or play a game – and couples actually rate their stay super high here compared to other places in Brasov. To be honest, the bathrooms look cleaner and more modern than some of the places we stayed at in Romania. Just sayin’. While a private room with private bathroom is comparable to some of the cheaper hotels on this list, sleeping in a dorm-style room (4 or 6 beds) is significantly cheaper to keep costs down. 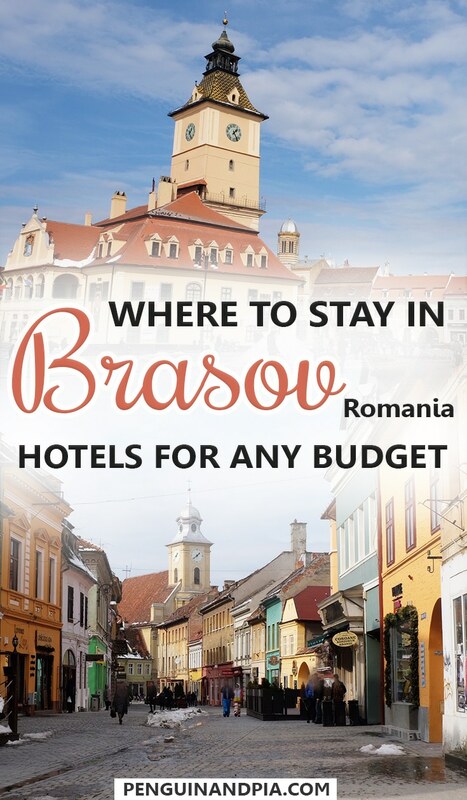 You’ll still have a nice stay in Brasov whichever you choose! Continental breakfast is included – which makes a private room in JugendStube even more of a deal when you consider the location. Guests review the hostel as super clean with staff that are there to help you with anything you might require. You have to remember that “mid-range” prices for Brasov are still fairly cheap (for a North American, at least). That said, if you’re able to up the price a tad you can have your pick of the locations around (or very close by) to the Old Town and get a great place to stay. Overlooking the Old Town, Hotel Kolping is nestled into the foot of the giant Tampa Mountain. Because of this, the location is quiet and relaxing compared to being directly in the centre of the Old Town. That said, the Old Town is steps away down some stairs and the Main Square is walkable in minutes. You get the central location and the private oasis feel! The onsite restaurant and onsite bar make food options that much easier. Parking is onsite for free. The rooms are more pricey but you pay for space and for the panoramic views of historic Brasov. And boy, are they beautiful views. With a selection of double, twin, triple, and family rooms available you’ll be sure to find a room for your needs. Each one comes standard with a private bathroom and all the amenities. Breakfast is included in all room fares on Booking.com. The Nature Reserve at Tampa is right behind the hotel so you can hop on the trails close to your room. Overall, guests always talk about the large rooms, good breakfast, clean and modern feel, and the friendly staff. You really can’t beat the location for an authentic Romanian hotel close to nature. Drachenhaus is a little more expensive but you pay for the location, the elegance of the place, and the awesome overall experience of the hotel with a garden and “hidden-away” feel. We walked right by it on one of our wanders in the Old Town. We first noticed the bar out front, but then saw that there was a hidden reception door – turns out it was Drachenhaus! The place looks gorgeous – mixing elegant with authentic and modern just one or two streets over from the Main Square. There is a restaurant and bar onsite which offer great food options but you’ll be so close to everything in the Old Town that you’ll have more than enough places to try! Rooms are a variety of double and “superior doubles” with better city views and larger beds. There’s even a loft option available for 6 people if you need the space. All rooms come with private bathrooms, TVs, and buffet breakfast which is included in all fares through the below link. Overall, guests rave about the historic setting, the good wifi, the friendly staff, and the comfy beds. Check out Drachenhaus for your stay in Brasov – we want to stay there next time we visit! Do you want a hotel with amazing views and a bar on site that is centrally located? Well, I present you with Coroana Brasovului! This elegant hotel is located just outside of the Old Town on the south side of the famous Schei Gate – where you enter the walled, historic centre. There is free parking if you’re driving, and most fares include breakfast which is offered as a full buffet. The onsite bar is great for having a drink and relaxing after a long day of adventuring in Brasov. Rooms are available in twin, double, and apartment style. Each one includes a desk, flat screen TV and ensuite bathroom. Some of the rooms even include balconies which look out over the Old Town and Tampa Mountain. Guests mention that the staff are wonderful and will offer tourist tips at receptions if you’re looking for things to do and see! That being said, the beautiful Saint Nicholas Church is a stone’s throw away from your bedroom at Coroana! There are quite a few luxurious places to stay in Brasov if you’re looking to be pampered. We walked by Aro Palace numerous times and so we wanted to tell you more about it! Located right by a main park and with rooms overlooking either Tampa Mountain or the Brasov Citadel, Hotel Aro Palace is a place to be pampered. Mixing luxury with modern, the elegant onsite “Night Bar” or the Belvedere Club on the upper terrace of the hotel is for you to enjoy your favourite beverage after a long day of exploring the city. There’s a sweet looking pool area that offers guests a Spa and Wellness Centre including massages, gym facilities, and a sauna. The rooms are available in twin, double, superior, suites, and family option. The rooms all include air conditioning, privates bathrooms, your own balcony, bathrobes, and much, much more. Breakfast is included in the fare prices and the breakfast is rated as one of the best in Brasov. The onsite restaurant does a great job of serving up both Romanian and European dishes. Overall, the staff are friendly, the place has everything you need, the location is great for being in the city centre Brasov, and the price isn’t absurd compared to other cities in Europe. Have a look for yourself! Finding a Hotel in Brasov Can be Simple! You should be looking forward to your stay in Brasov! We hope these unique options give you a small sample of where to stay in Brasov. Of course, there are dozens of hotels around the city that are sure to meet your needs. We just wanted to feature some of the most sought-after hotels to make sure that you have an amazing experience in the city. Have you stayed in any of these? We’d love to hear about your adventures in the comments below! Don’t be shy – sharing is caring!